Cape May distinguishes herself in many ways. We have the pristine beaches, promenade, and all the amenities that make any seashore town worth visiting, but we also have a rich history and an architectural diversity equal to none. 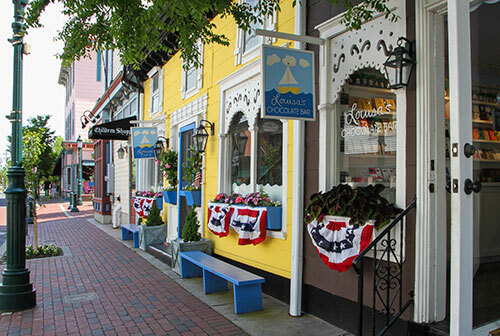 In 1976, the Cape May Historic District was listed on the National Register of Historic Places. 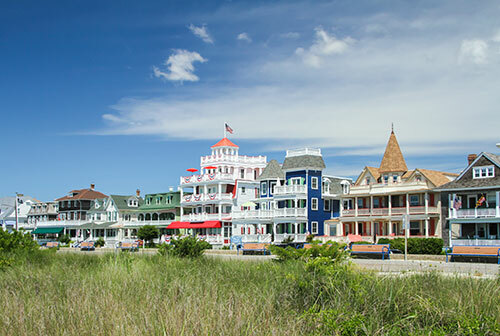 Possessing one of the country's largest collections of 19th century framed buildings, Cape May is New Jersey's jewel in the crown. But it's not all about the history; we live on an island which three municipalities share - Cape May, Cape May Point and West Cape May. You can leave you car in the driveway or parking lot and walk or ride your bike anywhere and still have easy access to the grocery store, the beaches, or any of the restaurants. We're a small town and proud of it, and we hope you come away thinking this is your town. EventsWhat's going on around town? 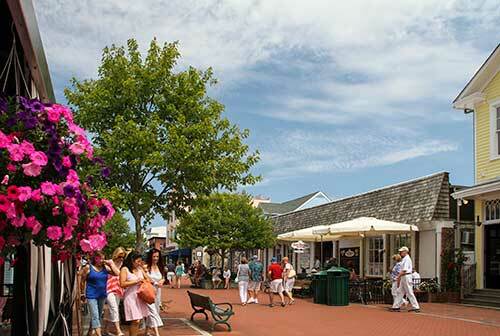 If you're coming to Cape May for the first time, be sure to stop into the Cape May Welcome Center. It's within walking distance to the Washington Street Mall and many restaurants and accommodations. Free 30 minute on-site parking. The Chamber of Commerce is able to discuss MAC's tours with you in detail. Though it is an island, Cape May is a part of a "cape," a strip of land projecting into a body of water. 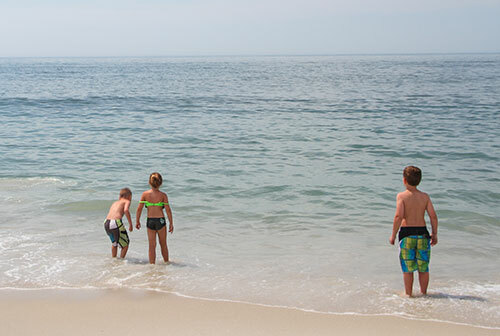 Settled by whalers and fishermen in colonial times, Cape May has been the destination of vacationers since "resorting" to a different location began, making Cape May America's oldest seaside resort. In 1878, Cape May City nearly burned to the ground; the reconstruction that followed has left a plethora of Victorian era buildings like no other in America. 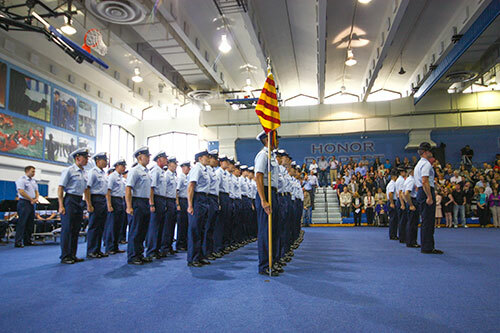 With roots as a U.S. Navy base prior to World War II, Cape May's Coast Guard Training Station continues to be an integral part of Cape May. 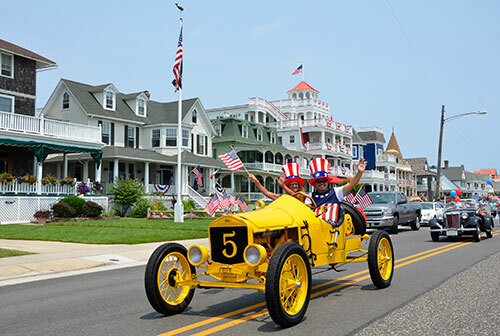 In 1976, Cape May was declared a National Historic Landmark City. 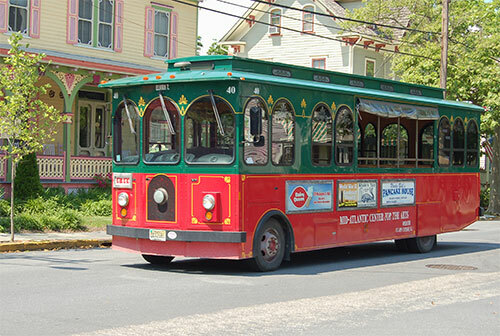 Cape May (Cape Island) is made up of Cape May City, the boroughs of West Cape May and Cape May Point and a township (Lower, which is not to be confused with Middle and Upper - all of which comprise Cape May County). Because of the canal, Cape May is separated from the rest of New Jersey, both physically and metaphorically. Unlike other Jersey shore towns, Cape May City still looks like small-town America, complete with tree-canopied streets, right out of a Norman Rockwell painting.The year-round population of Cape May is about 4,700, a number that has varied little for over a hundred years. That number can swell to more than 40,000 on some summer weekends. Dining in Cape May often exceeds the casual visitor's expectations. 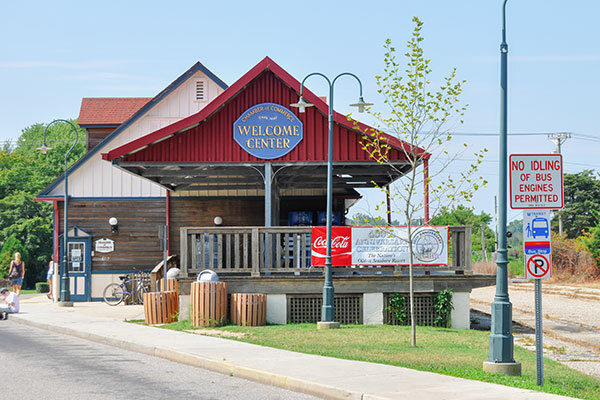 From the restaurants on Schellenger's Landing at the base of the canal bridge, to those along the beach front and into West Cape May, one can find superior cuisine alongside customary seaside fare. There are almost no chain stores in Cape May. Large national franchisers have not located here. Instead there are scores of small shops and antique stores from the outdoor Washington Street Mall to the Beach Avenue store fronts that cater to the sun and fun crowds. 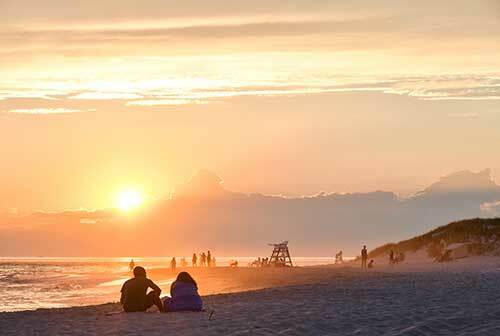 Staying in Cape May offers vacationers the widest possible variety of experiences. The hotels of yesteryear are still here, some beautifully restored and others, by design, comfortably left as they have been for decades. 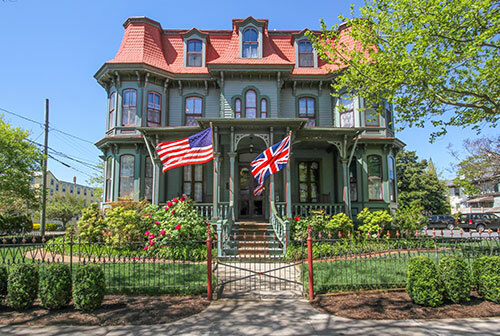 Meticulously maintained bed and breakfast inns are renowned in Cape May; as are many historic Guest Houses. Of course for the thousands of visitors who prefer conventional luxuries and a swimming pool, Cape May has plenty of resort hotels. Rounding out the choices is the traditional whole house or condo rental. Prices on these stays will vary with the season, the amenities offered and their proximity to the beach. 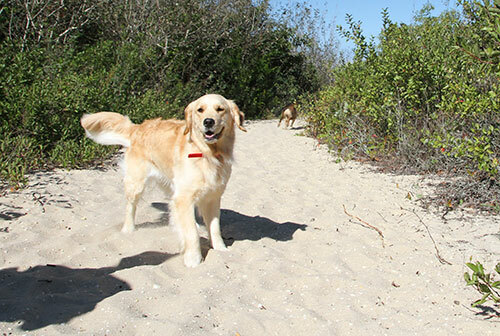 While not in the ocean or on the beach, visitors can spend time in Cape May exploring nature trails, whale and dolphin watching, taking Victorian house or ghost tours, golfing (real and miniature), fishing (surf and sea), antiquing or visiting art galleries and history exhibits. 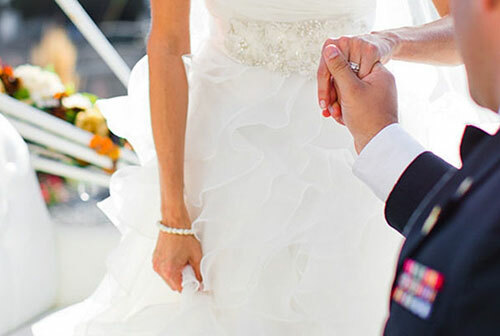 Visitors can get a spa treatment, take in live theatre and concerts, stop by a vineyard for wine tasting, take a carriage ride, play skeeball in the arcades and even bar hop. 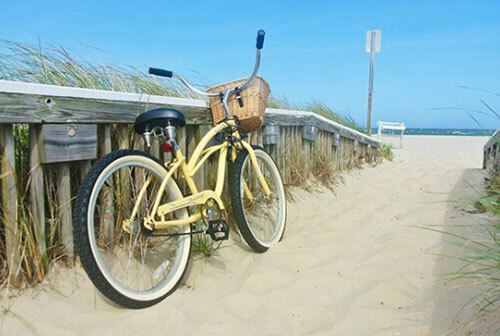 With rental spots in key locations on this flat island, bicycling to everything on the island is easily done... and something locals heartily recommend. And if that's not enough to keep vacationers content, they can cross over the canal bridge to find amusement parks in the Wildwoods and casinos a 45-minute drive away in Atlantic City. When the excitement is over and the time is late, the calm of Cape May will be ready and waiting, as it is now and always has been. Exactly where is Cape Island?